The Chittagong Hill Tracts occupy about 10% of the total area of Bangladesh. The ethnic tribal communities in the Hill Tracts have been practicing shifting cultivation – locally called Jhum – for hundreds of years. More recently, the nature of Jhum has changed as a result of growth in population and pressure on cultivable land. Demographic changes are threatening both ecosystems and livelihoods. There is an urgent need to make the forests of Chittagong a more sustainable means for livelihoods and poverty reduction. 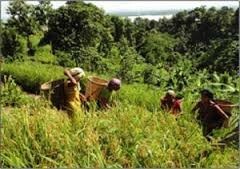 Under Jhum, vegetation is slashed and burnt between January and May, and rice, turmeric, ginger, chilli, maize and cassava planted and harvested between June and December. In the past, Jhum was practiced with a fallow period of 15 to 20 years. This ensured that the soil remained fertile in the long term. In recent times, the fallow period has been reduced to only three or four years, which allows very little time for soil regeneration. As a result, the land is losing important nutrients and over 40 tons of top soil per hectare every year. Studies suggest that the region is experiencing a loss of biodiversity, decreased crop productivity and deforestation. Hill farmers are facing a bleak future. To address this issue the Bangladesh Agricultural Research Institute developed a plan to gradually replace Jhum cultivation with fruit orchards. This can prevent soil erosion and degradation and increase cropping intensity and farm income. However, Jhum farmers have been reluctant to adopt this plan. As they do not own the hills, they resist investing in this alternative and are less concerned about improving soil nutrition and productivity. Moreover, Jhum is strongly connected with the socio-cultural and religious fabric of tribal communities. While it may not be easy to change this age-old practice, the government can help address both environmental issues and the concerns of community members by establishing and documenting rights to the land, creating non-farm employment and encouraging alternative sustainable cultivation practices. 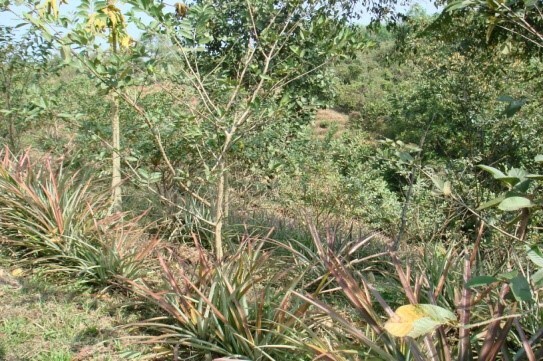 Although financially less attractive than annual cash crops and horticulture, agroforestry and timber plantation are beneficial land-use systems in the hills. These alternative practices can help with the management of what forests remain in Bangladesh and may also significantly reduce rural poverty. Let’s put a foundation/milestone for this project. Let me help there! ← Would you like some Gold with your Tea?